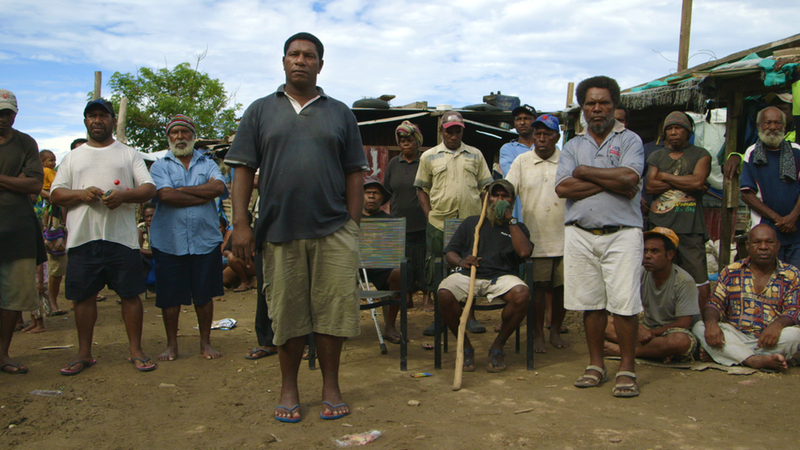 In the lead up to the Universal Periodic Review of Papua New Guinea, two NGOs – the International Service for Human Rights and Media Stockade -organise an exclusive screening of the documentary film ‘The Opposition’ and discussion with director Hollie Fifer and Dr Kristian Lasslet from International State Crimes Initiative. The Opposition asks how we can ethically build sustainable business in developing countries. In a David-and-Goliath battle over a slice of Papua New Guinea’s paradise, Joe Moses, leader of the Paga Hill Settlement, struggles to save his 3,000 people before they are evicted. Battling it out in the courts, Joe may find his community replaced with an international five-star hotel and marina. In a recent twist, production company Media Stockade and director Hollie Fifer have been hit with a legal suit over the upcoming release of the film. On Thursday 14 April, a judge in the New South Wales Supreme Court in Sydney, Australia will decide if the case will go to trial. At stake is whether the film will be able to be released or not. Media Stockade stands its director who has conducted a piece of legitimate investigative reporting in the public interest. The screening takes place on 19 April 2016 at 15h30 in the Rue de Varembé 1, ground floor, Geneva. Please note this event is a private screening and is by invitation only (and places are strictly limited). If you want to be invited you have to contact the organizers before Friday 15 April. This entry was posted on	April 12, 2016 at 19:56	and is filed under films, human rights, Human Rights Defenders, ISHR.